Ancient Egypt comes to dazzling life in this 48 lecture course. The lectures cover thousands of years of history, from the rise of the Egyptian empire to becoming the world’s greatest civilization of the time, to the final days of the empire with the fall of Egypt’s most famous queen, Cleopatra. Professor Brier is a good lecturer, if a little repetitive sometimes, but he very clearly loves his work, and it shows big time in the lectures. His passion for the subject is almost contagious. You can’t help but smile as he talks about the long dead monarchs like they were buddies, sometimes even calling them ‘my man’ (ex, ‘my man Snefru’, or ‘our man Ramses’). It was quite amusing, and gave the history a personal touch. 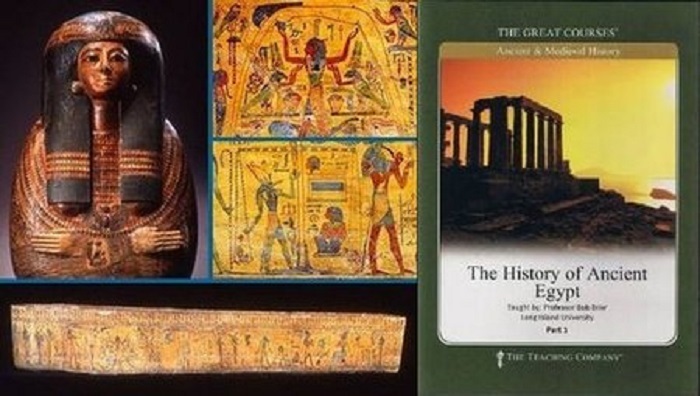 If you’re even just a little interested in ancient Egyptian history, I definitely reccomend this course. I give it a wonderful 9.5/10. This will be a list of my favourite documentaries that were one-offs, meaning that they were only made as a one time thing, either as one movie length show, or a single season comprising of 15 episodes or less. 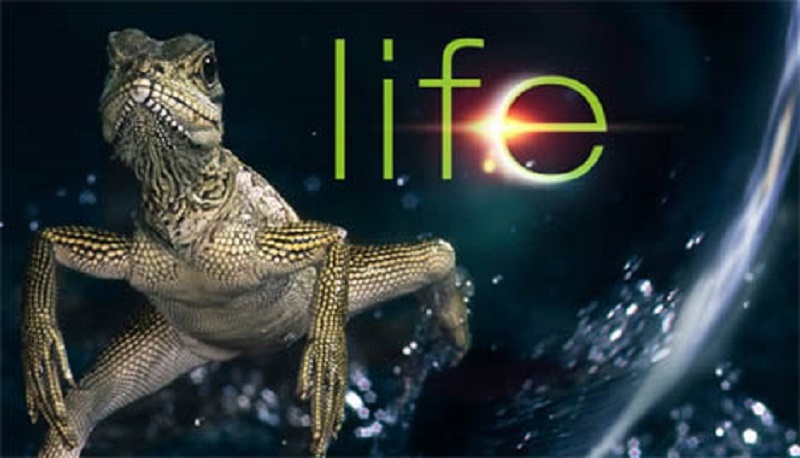 I’ll make another post some other time about my favourite documentary series’. I was going to put them all together, but I realized that with the amount of documentary stuff I watched I’d never be able to keep the list relatively short if I did that, so I’m splitting it. I really enjoyed the new format I tried in my Top Horror Films post, so I’ll see if I can integrate it into my longer articles, making them easier to read. At least, that’s what I think. Am I right? Is it a good format? Let me know! 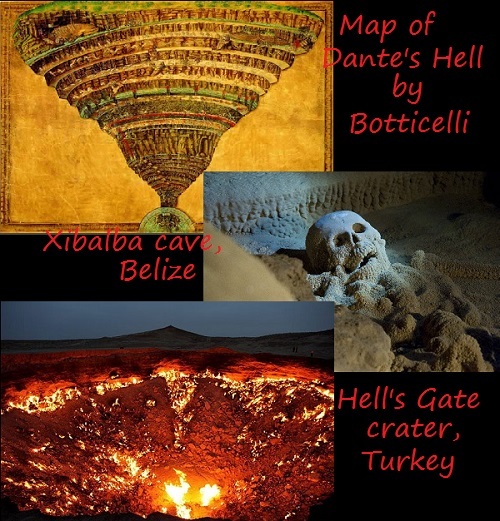 Subject: Ancient beliefs that hell was a real place that could be reached from the physical world. 5 Second Synopsis: A lot of ancient cultures believed that not only was Hell real, but it could be reached from certain places on Earth. We follow guides to seven such places to uncover the stories and mythologies each place holds. 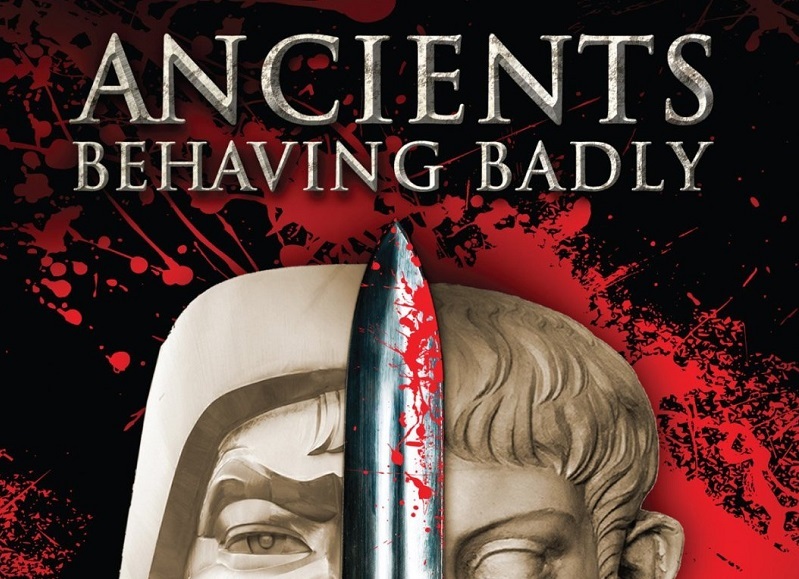 Why I love It: I wasn’t sure I’d actually like this one,since I don’t particularly enjoying watching religious stuff, but I love ancient history, and mythology was a huge part of most ancient cultures, so I gave it a try, and I’m glad I did. It was very interesting, providing facts, and not just preaching fire and brimstone, which is what I was afraid of. 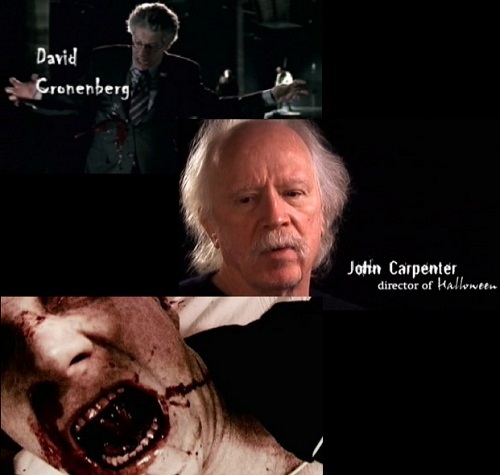 5 Second Synopsis: An exploration of the appeal of horror films, with interviews of many legendary directors in the genre. 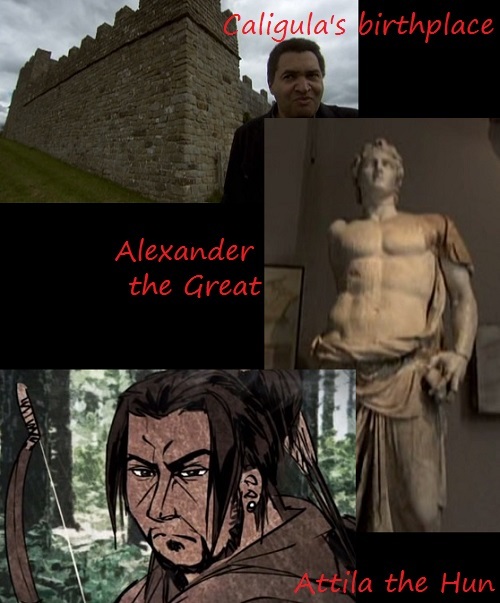 5 Second Synopsis: Historians discuss the rulers of the ancient world, and a psychologist tries to profile them by examining their deeds. 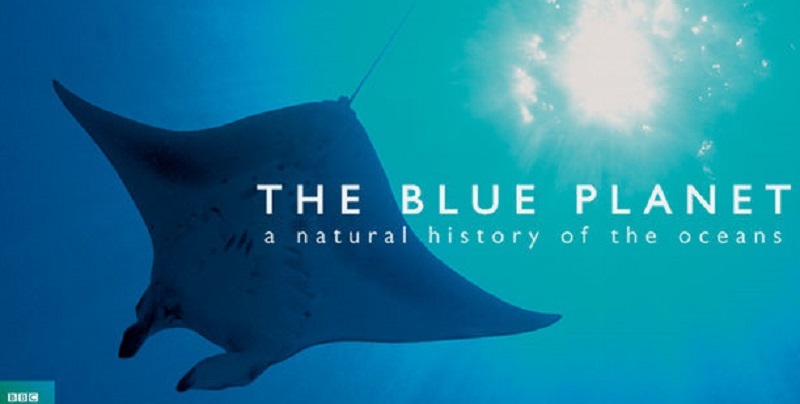 Why I love It: It’s entertaining as well as informative, as all the good documentaries are. The animations are cool, too. 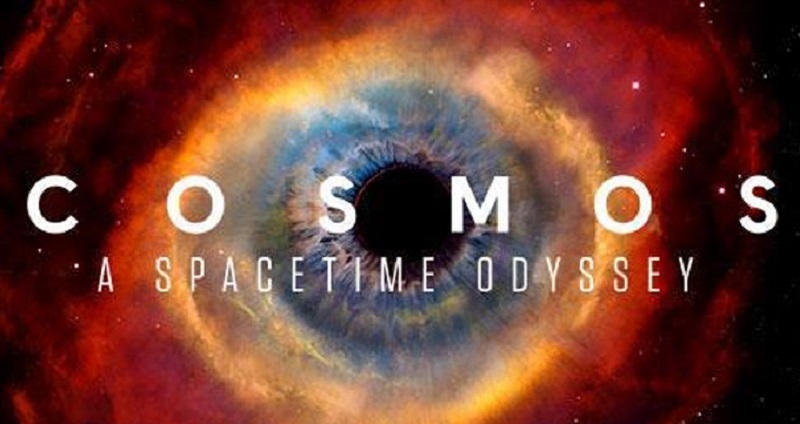 5 Second Synopsis: Dr Tyson leads us on an engaging guided tour of the various elements and cosmological theories of the universe. 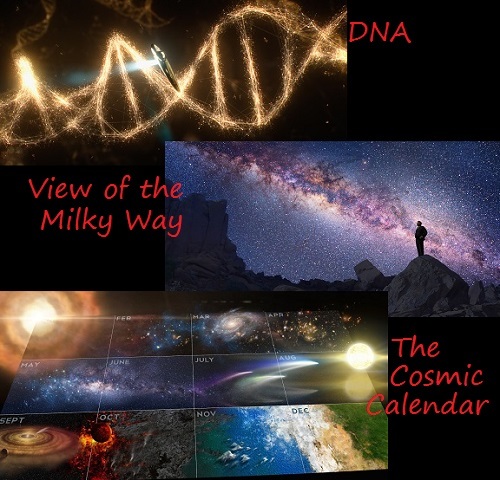 Why I love It: Cosmology and physics really fascinates me. I don’t always understand everything (I dare you to not get confused while listening to the String Theory), but I love it all the same. And when someone brilliant decides to “dumb it down” a little so laymen can get it (without treating us like morons, of course), and then pair that info with a beautiful, visual treat? Well that’s just gravy on the pie. 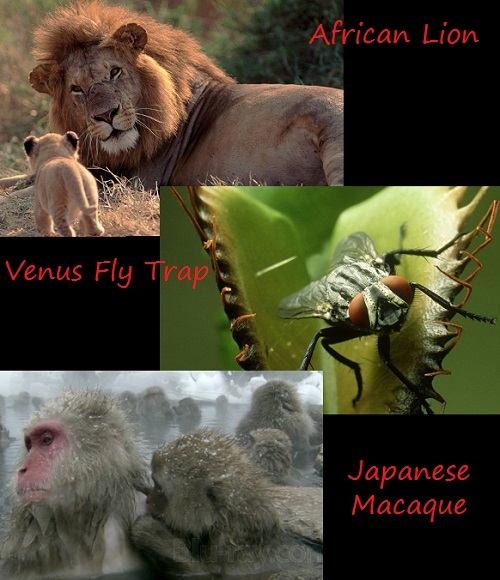 5 Second Synopsis: David Attenborough’s legendary BBC crew explains and shows wildlife all over planet earth in 10 episodes. 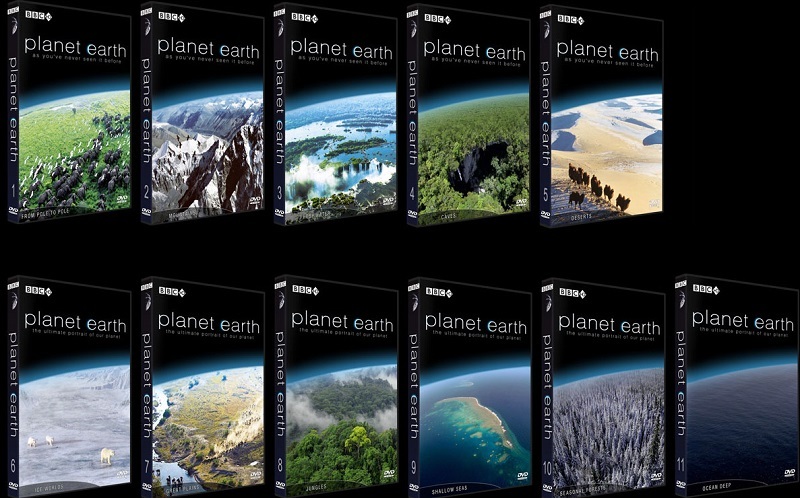 Why I love It: I absolutely love David Attenborough and his work, so it was a given that I’d love this one too. I find he’s got the perfect voice for narration. He rivals even Morgan Freeman! The cinematography is breathtaking, as usual, and all the information is interesting, and interestingly presented. If you haven’t seen it, I reccomend it greatly. Just make sure you get the original, and not the one redumbed, err, I mean redone in the States with Oprah narrating. 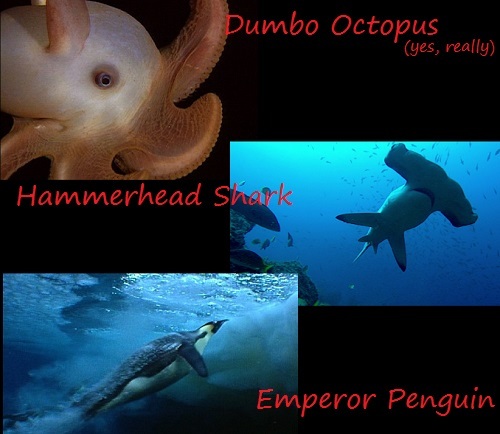 5 Second Synopsis: This documentary takes a look at the rich tapestry of life in the world’s oceans. 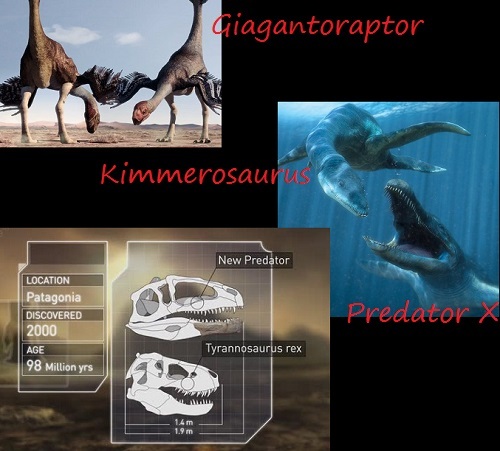 5 Second Synopsis: An astonishing six-part series that brings to life the most incredible creatures that ever existed, dinosaurs that were more monstrous, more horrific and bizarre than ever before imagined. 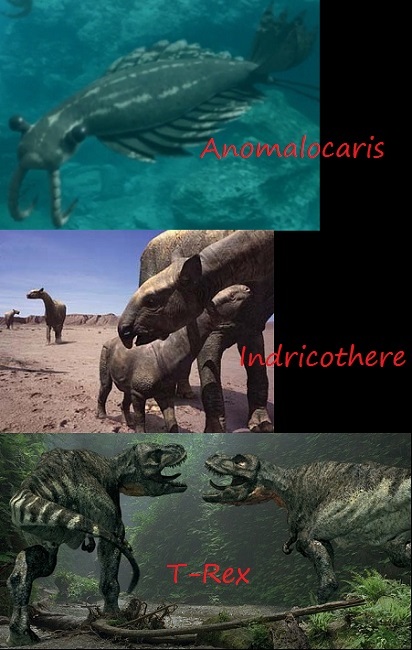 Why I love It: Pre-historic life is another thing that fascinates me to no end.What I wouldn’t give to be able to go back in time and see these enormous creatures. But docs like this one are the next best thing. The animation is breath-taking and the narration is clear and interesting. A must for any dino fan. 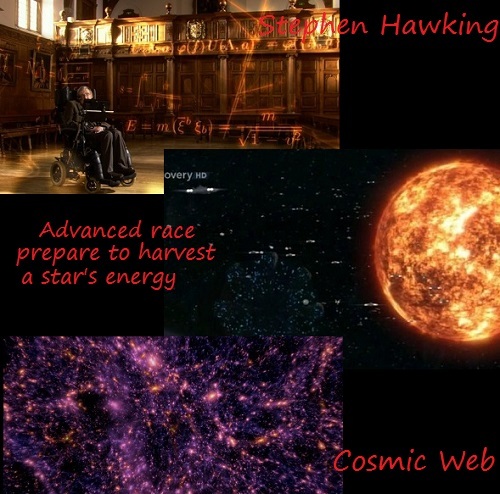 5 Second Synopsis: In this comprehensive cosmology series, Stephen Hawking looks at the entire universe, from the Big Bang to the end of time. 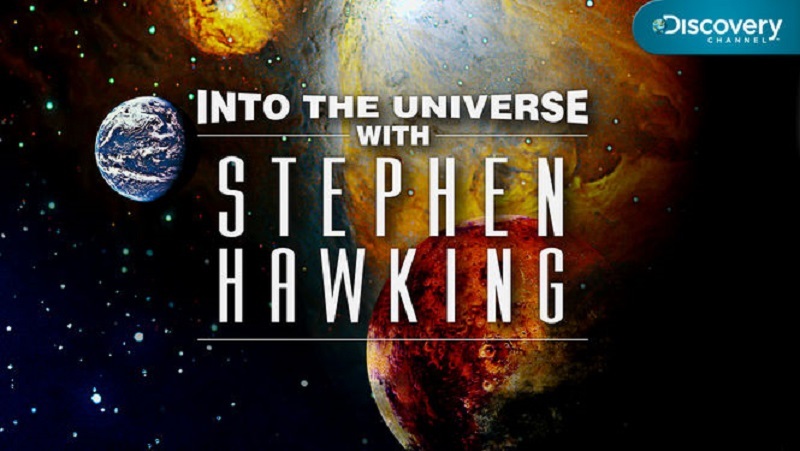 Why I love It: Stephen Hawking’s brain, Benedict Cumberbatch’s voice, and beautiful animations of our universe? I loved this show before I even watched it. 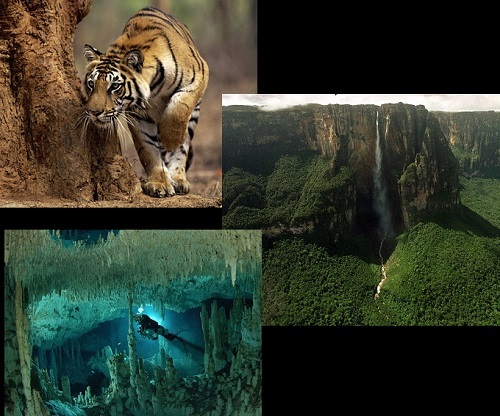 5 Second Synopsis: Each 50 minute episode features a global overview of a different region or habitat on Earth, polar regions, mountains, caves, deserts, plains, fresh water, seas, the ocean, and forests. Why I love It: Attenborough again. This might be getting a little redundant, but I couldn’t leave any of them out. There’s a reason his shows are as popular as they are, and that’s because they’re the best. Yes, it’s as good as you’ve heard. Now go watch it. The original. 5 Second Synopsis: These shows document pre-historic life on our planet, from the moment it began, until the time that humans have evolved. Why I love It: I know I’m technically cheating here by including three shows in one, but I simply couldn’t separate them and place them in order. Being so old, a good deal of the data is out-dated, but I still love to watch these shows. 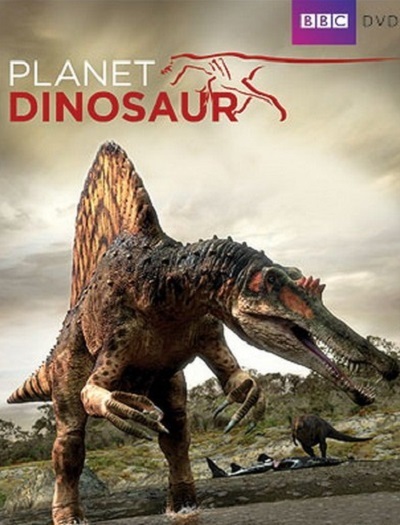 They’re so well done, the narration is fun and informative, the dinosaurs are beautifully portrayed, even going so far as to “connect” with the camera, as if they were real. My son and I love to watch this together. 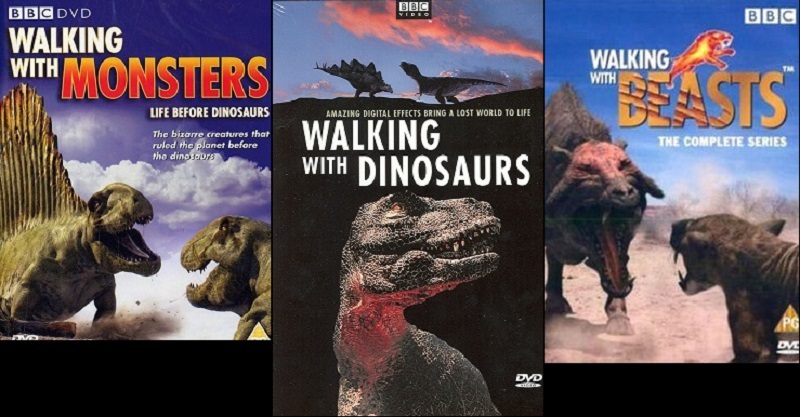 For more up to date information, Planet Dinosaur is the way to go, but for sheer watchability (and rewatchability), these will forever hold the top spot.